The primary goal of the best cold weather tents is a simple one – maximum protection from the elements in the most extreme conditions. Whether the purpose is mountaineering or winter weather survival, the best cold weather tent is one that performs through every season come rain, shine, or snow. Cold weather tents are designed to operate in the full-range of climate conditions, providing shelter when you need it most, no matter the prevailing conditions and weather outside. From an emergency preparedness or survival point of view, the rugged and uncompromising reliability of a cold weather tent makes it the natural choice if you’re looking for a dependable portable shelter that can be called on whether you’re outside in August or February. If a situation deteriorates to the point where you need to evacuate quickly and without hesitation, there’s every chance that you’ll find yourself doing so in less than favorable climate conditions. Unfortunately for the unprepared, a major emergency or disaster simply isn’t going to wait until the weather picks up and you could just as likely find yourself having to make a sudden survival decision when the mercury drops. 1 What is a Cold Weather Tent? 2 Do I Need a Cold Weather Tent? 4.1 3 Season Tents vs 4 Season Tents – What’s the Difference? Almost without exception, the best course of action for an emergency or disaster situation during cold weather conditions is going to be to implement an emergency home preparedness strategy, hunkering down and quite literally ‘weathering the storm’. But what about if the situation means this simply isn’t an option? That’s where a strategy that incorporates a cold weather tent or winter shelter provision comes in. If evacuation or bugging out from your home becomes a priority in this kind of situation, the equipment you have to hand can make all of the difference to the outcome. Physical protection from the elements is always going to be the primary consideration during a survival situation and nowhere is this more relevant than in cold climate conditions, where exposure is a deadly adversary and every minute counts. With this in mind, finding the best cold weather tent and implementing it as part of a wider winter bug out preparedness strategy moves to the top of the queue if there’s even a possibility of dealing with cold weather conditions in the event of an evacuation emergency. While the answer to this question may seem obvious (it’s all in the name right? ), there’s a lot more going on under the surface when it comes to laying out the full set of characteristics and benefits of the best cold weather tents which separate them from standard tents, expedition tents, and even professional high performance tents. There are a couple of things that can be used as a good entry point to providing a decent overall description of a cold weather tent. The following list of features provides an overview of what to look for if you want a cold weather tent capable of dealing with the harshest conditions. This is the first thing that matters when it comes to finding a cold weather tent that will perform at the most extreme temperatures and within winter climate conditions. As you’d expect, the season rating (up to 4 season / ‘all-season’) determines the operating range of a tent and the severity of conditions it’s designed to perform in. At the simplest level, the only rule that matters in this regard is that any tent below all-season rating is not going to be sufficient if you’re looking for a cold weather tent to provide you with adequate shelter through winter conditions. Once you get to the category of a 4-season or all-season tent (the minimum spec of all tents we’ve covered in this guide), you’ll then be looking at a an increasing range of performance and resilience factors – ranging from construction and materials, through to size and weight – which further sub-divide this class of tent based on specific requirements. General rule of thumb at this point – higher price and/or higher weight is going to lead to better performance in more extreme cold weather conditions (more on this later). The thing to keep in mind at this stage is that a cold weather tent has to meet the criteria of 4-season operation as the bare minimum to ensure suitability for use in adverse winter conditions. Without a doubt, the very best cold weather tents (at least in terms of performance) are those which have been specifically designed for use in the extreme conditions associated with mountaineering and polar expeditions. It’s no coincidence that some of the best cold weather tent brands and manufacturers are also those consistently favored by climbers, scientists, military operators, and those visiting some of the coldest and most inhospitable places on the planet. The fact of the matter here is simple – a tent manufacturer that has a pedigree in producing tents that have a reputation for performing consistently in conditions ranging from those found in the Antarctic to the Himalayas, is going to know a thing or two about designing survival shelters for use in cold climates and inhospitable conditions. Tents designed for use in these kinds of environments have to perform above and beyond the minimum requirements, day in and day out as any deviation to this baseline can become a matter of life or death. Because of this, the best cold weather tents are designed to take a beating from the elements while still keeping you protected, safe, warm, and sheltered within. In this guide, the cold weather tents we’re looking at come from brands with a track record of success in designing and building some of the most durable and resilient tents in the world. With any and all equipment and gear for preparedness, there is always an inevitable trade-off between functionality and performance on the one hand, and packing weight and size on the other. Nowhere is this more prevalent than in the area of survival shelters and high performance tents. Given the extreme requirements of cold weather tents, this is naturally going to represent a point of conflict when it comes to finding the ideal cold climate shelter without sacrificing in the area of carrying weight and size. This is often the big distinction between the two major categories of cold weather tents (mountaineering/expedition tents vs. ‘consumer’ all-season tents) with the former often representing a larger size and weight burden while delivering unbeatable cold weather protection, and the latter falling slightly behind this but representing a definite advantage when it comes to packing and carrying. Ultimately, the goal of all performance and cold weather tent designers is to maximize protection and performance while minimizing weight, but you’re always going to see a trade-off here. With this in mind, think about the likely use case for your cold weather tent to (quite literally) weigh up the costs and benefits of physical size and practical performance of the shelter. Are you planning to evacuate by vehicle during periods of intense cold weather, negating the major disadvantages of carrying extra weight? If so, a top-spec expedition tent is probably going to be an excellent choice if you don’t need to carry it (along with all of your other gear) on your back – removing the obvious drawbacks of additional weight. If you’re planning to build a bug out bag that incorporates a cold weather tent into the mix, the amount of physical packing space and the carrying weight become primary considerations. In this case, a 4 season winter rated survival tent is probably going to provide the best combination of protection to packed carrying mass for the job. 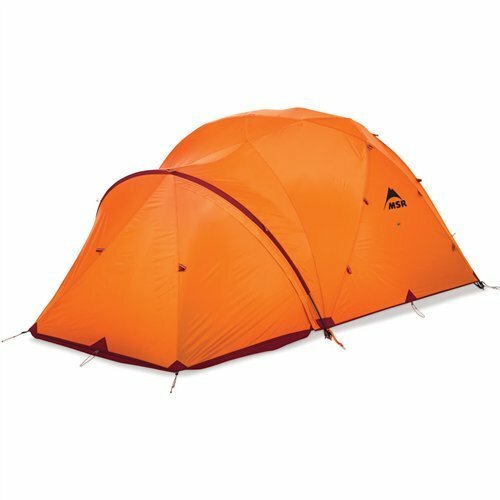 Do I Need a Cold Weather Tent? One of the first things to think about when answering this question is the specific climate where you live, as well as in the surrounding area, and further afield (particularly to areas you may be planning to head to in an emergency situation. For those living in higher latitudes, you’re probably very familiar with the kinds of things to expect when winter comes and the challenges that extreme temperatures can bring, as well as the realities of major increases in snow and ice during the later and earlier months of the year. Similarly, if you’re currently living in a mountainous region, you’re probably equally aware of the threats posed by rapid and severe changes in weather conditions. So how about if you live in a mild, temperate, or even warm climate? Well, your first port of call should be to look for a high quality, performance survival tent, the best of which will integrate 3-4 season performance as standard, and are designed for pretty much year-round use with minimal impact on packing and carrying considerations. If you live in this kind of milder climate, then you’re also probably going to already have a pretty good idea of what kind of weather conditions to expect during an ‘average’ set of winter months. For example, a January in Florida is going to present a very different set of circumstances to a January in Minnesota and likewise, the south of the UK is generally going to be considerably warmer than Norway or Sweden when winter arrives. But how about if the winters going forward begin to stray from these established historic norms? Whatever the casual factors, it’s now clear to many that the Earth is in the process of undergoing some pretty severe shifts in climate norms and these changes are almost certainly going to lead to a very different picture and expectation of what was once considered ‘normal’ weather in the coming years and decades. Another thing to consider is that while an emergency situation or disaster may well be relatively localized, requiring you to evacuate a mere matter or miles from home, it’s equally likely that you could be dealing with something considerably more serious that requires a more serious approach to evacuation. In the event of a much larger event (perhaps regional, maybe even national), you simply can’t rule out the fact that you may find yourself moving to an area of safety which is in an entirely different climate zone altogether. In this instance, being over-prepared in the form of preparing winter equipment and a specialized cold weather tent is going to be a benefit, whereas being unprepared in these areas could prove extremely costly. The age-old mantra of emergency preparedness proves as true here as in every other area – there’s no such thing as being too prepared. Cold weather tents have to meet a number of requirements that go way beyond keeping you warm and dry in winter conditions. Considerations from packed footprint and weight through to capacity, construction materials, and feature set all combine to provide the full picture of a cold weather tent’s ability to deal with whatever mother nature throws at you. The biggest compromise you’ll face in finding the very best cold weather tent is the one related to packed size and weight of the shelter when it’s time to break camp. If you’re travelling on foot and simply cannot afford the additional weight that a fully specified expedition or mountaineering tent will bring however, don’t panic – all is not lost. There are some truly great lightweight cold weather tents that are designed with weight in mind and will see you right through to winter and beyond without packing on the pounds in your bag. Within this weight range, you’re going to find tents with capacity for between 1-3 people, again for cold weather tents capable of sheltering more people, you’re going to be looking at larger and heavier alternatives, see heavyweight cold weather tents below for more on these larger options. The Scandinavians know a thing or two about dealing with cold weather conditions and the tents by Swedish brand Fjällräven are testament to this heritage of producing high performance equipment for use in all seasons. The Abisko Lite 3 is a three person cold weather tent designed to the highest quality for use in hostile conditions without compromising on practicality, comfort, or space. At the center of the Abisko Lite is (unsurprisingly given the name), the ability to pack down light when it’s time to get moving again. In comparison to other tents within the mid-lightweight cold weather category, the Abisko Lite 3 is designed with a height that’s slightly lower and with a smaller vestibule for helping to keep weight down. What this means of course, is this Swedish cold weather tent is a great choice as a lightweight and compact winter trekking tent which will push through warmer months into winter use. If you want a tent that will battle the very harshest winter temperatures and blizzard conditions, you’re still going to go heavier-duty, but if you want a survival shelter solution that will cope with mild winter conditions and won’t break your back when packed, the Abisko Lite 3 is an awesome solution. 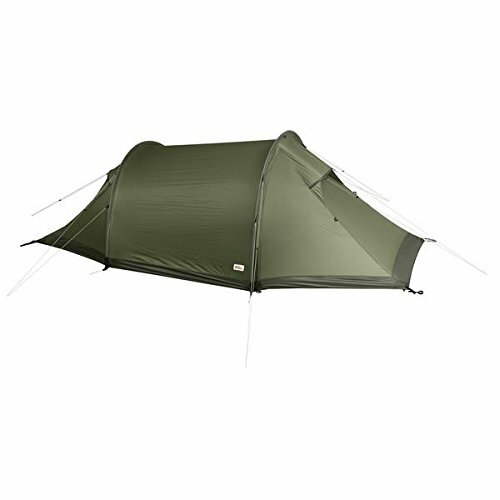 The Abisko Lite 3 is designed to provide superior ventilation and when warmer conditions return, the flysheet can be rolled up to provide high airflow when needed. If weight is less of an issue and reliable and durable performance matters, then choosing a cold weather tent within this category will allow for higher resilience in serious weather as well as a wider set of features and functionality. Similarly if you’re aiming for a cold weather tent that can hold more than 3 people, then the tents within this weight class are going to provide this increased capacity. Some of the most impressive cold weather expedition tents and mountaineering tents can be found in this class of cold weather shelters and while carrying weight can become a problem as you move into this category, if you’re looking for a winter tent for carrying in a vehicle, you’re not going to find better than these. MSR have a well deserved reputation for producing mountaineering tents designed to tackle some of the most challenging expedition conditions (MSR = Mountain Safety Research) and the 5-person Stormking is an awesome example of this in an all-season tent. With enough space to comfortably hold up to 5 people plus gear, the Stormking is a cold weather tent that’s built to survive the harshest conditions without compromising on internal practicality and comfort. Protection from the elements comes in the form of a 40D ripstop nylon DWR and 15D polyester micromesh combination for the canopy, a 40D ripstop (with 10,0000mm DuraShield PU) floor, and an impressive 68D ripstop polyester rainfly. Durability and strength are provided in the shape of the Stormking which favors a dome design and utilizes Easton Syclone poles for superior structural integrity in even the most challenging weather. 3 Season Tents vs 4 Season Tents – What’s the Difference? When it comes to finding the best survival tent for cold weather conditions, the first thing you’re likely to look for is the season rating of a tent. The best 3 season tents are now so good, you’re probably going to find that they perform adequately in warm climate winters as well as throughout the year, and in this instance, it’s worth checking out some of the best survival tents (almost all of which are 3 season rated as a minimum) to see if there’s a suitable shelter for the task. And for the rest of us? Well, this is where a high quality mountaineering tent or expedition tent specifically designed for use in cold weather comes in, providing all-season functionality and performance. Here are the main differences you should expect between 3 and 4 season tents. As the name suggests, these tents are designed for use in three seasons of the year – spring, summer, and fall/autumn – (sorry winter). 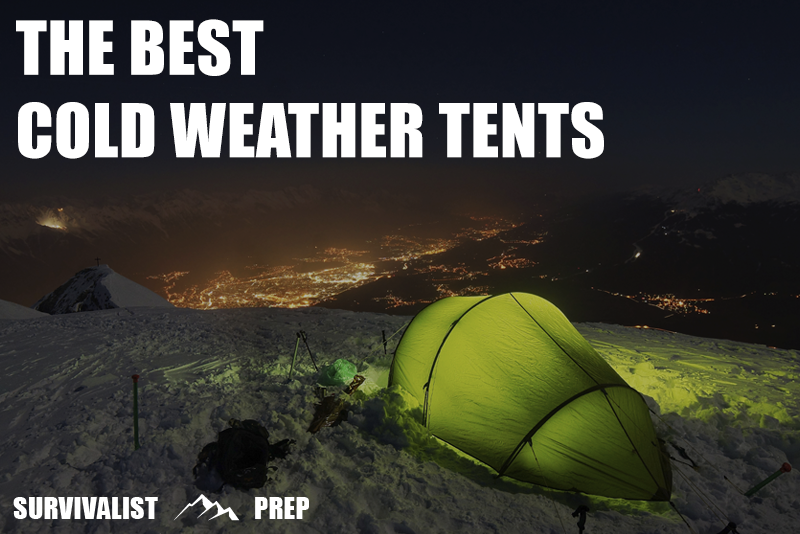 This doesn’t mean that these tents are going to struggle during bad weather conditions such as high winds or heavy rain, there just not going to be equipped with the full set of features that you’re going to be looking for in cold temperatures, ice, and snow. If the forecast is for changeable weather with sun, rain showers, and light-mid winds, a high quality 3 season tent is going to be up to the job just fine. However if snow or heavy winds are on the cards, you’ll want to go for a tent that’s designed to cope with more serious conditions. Also known as all-season tents, 4 season tents are built for winter use. From high winds and freezing temperatures, to heavy rain or snowfall, the best 4 season tents are the shelter of choice for extreme conditions and all-year use. Cold weather tents within this category will also go by the name of expedition tents and mountaineering tents as they’re the survival shelter of choice in these kinds of use case. The best 4 season tents will tend to be heavier and more expensive than their 3 season counterparts, but this translates to a build quality and fabrication materials (think stronger poles and tougher fabrics) that are quite literally designed to handle whatever the weather throws at you. With all of our rundowns and reviews, we reference as many expert sources, and real world user reviews as possible so we’re able to provide the most relevant and educational information on the ins and outs of the best cold weather tents. Finding the best winter-ready tent or cold weather shelter for your specific situation is ultimately a highly personal activity with individual needs and preferences sometimes varying considerably between people, locations, and uses. With these considerations in mind, this guide looks to provide advice on our own opinions of the best cold weather tents available today, however, it’s always important to carry out your own due diligence to find the best solution for you when picking an appropriate cold weather tent or winter shelter solution that’s perfect for your situation.